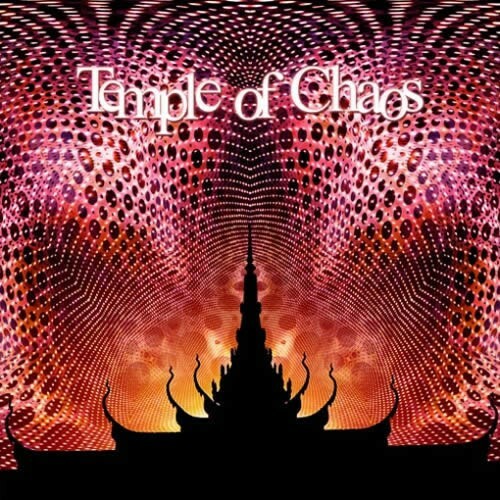 Temple of Chaos is the perfect tool to lose yourself into a universe of twisted acid sounds, hidden melodies and weird sound effects! As a sequel to the floating Energy Waves, Suntrip shows that modern Goa trance is not only about morning atmospheres... Now, we are proud to present our night-story of modern Goa trance!Lets warm up with a new track by Khetzal (yes! He is finally back) where he shows his more 303-influenced side together with some electric violin demonstration!Hes followed by K.O.B. which is another alias of Filteria. The track borrows the good old Kox Box atmosphere mixed with forest melodies!Codex is a long subtle acid-trance track by the alter ego of Antares, Daimon. Evil it is.Moonweed and Shakta offer us a splendid unreleased track from the 90s! Aggressive and mindshaking, youre warned!Merr0ws more nightish trance style needs no further introduction, but Citrus Circus is an incredible ever-more crazy twirling rocket with many funny references!Filteria shows that he has new inspiration to tweak his synths more than ever before. Youll bounce on the explosive squares and groovy bassline of Illogical Logic.A crazy morning track follows and wreaks havoc as the rediscovered talent Crossing Mind is back in tweaking land!And the compilation ends by a softer but very spiralling psychedelic track by the Finnish talent Nebula Meltdown!Like usual this album is crystal-clear mastered by Tim Schuldt!Enjoy the madness!